Best Bait: Fresh mullet fillets, prawns, chicken guts and white pilchards. Small minnow lures also wprk a treat with grunter bream. Habitat: Sand and/or muddy coastal beaches and rivers along Queensland SE coast. 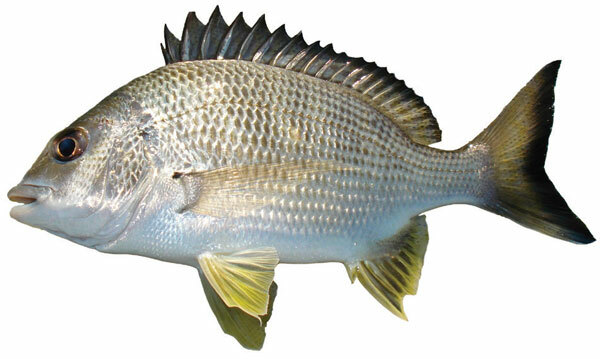 Local Haunts: In the Maroochy River grunter bream inhabit the same areas bream do, Rocky ledges bearing weeds or barnicles offer a good feeding ground while bridge pylons and jetties offer great coverage and hiding spots. Twin Waters (The Black Bank), Godfreys Road and in both Eudlo and Petrie Creeks are highly recommended areas as there are drop offs into deep water and plenty of material to forage on. They also can be caught off the bank at the Cod Hole, Maroochy Waters Canals, Picnic Point, Cottontree Jetties and Bli Bli's Muller Park area. Best Bait: Fresh mullet fillets, whole WA pilchards, mackerel fillets, whole large bottle squid and poddy mullet are the best bait to use with tailor. Any live bait works well with jew as they are extremely territorial. They are very partial to metal slugs, spoons, twisties and most deep diving minnows. Habitat: The lower reaches of rivers, estuaries, rocky reefs and ocean beaches from Bundaberg and further south to the Queensland border. Local Haunts: In the Maroochy River, jew territorially guard deep holes and inlets where schools of baitfish enter. Jew work alone and can easily be targeted at the river mouth, South Channel, the deep water opposite Yinni Street and at the Cod Hole. 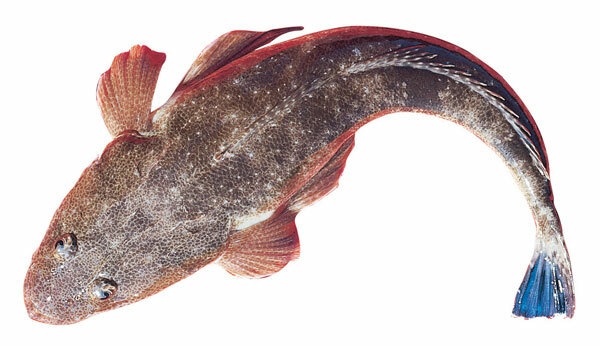 Best Bait: Live whiting, fresh mullet fillets, prawns, lures and white pilchards. Local Haunts: In the Maroochy River flathead inhabit areas along mud-lined banks near Twin Waters (The Black Bank), Godfreys Road and in both Eudlo and Petrie Creek. They also frequent in lessor numbers off the bank at the Cod Hole, Maroochy Waters Canals, Picnic Point, Cottontree Jetties and Bli Bli's Muller Park area. A falling to low tide is usually best though as flathead forage on banks covered by shallow slow moving water. Bag Limit: combined bag limit of 30 (all whiting species except trumpeter whiting). Habitat: coastal beaches, sandbars and surf zones, bays, estuaries and coastal lakes. Local Haunts: In the Maroochy River sand whiting are prolific along mud-lined banks near Twin Waters (The Black Bank), Godfreys Road and in both Eudlo and Petrie Creek. They also frequent in lessor numbers off the bank at the Cod Hole, Maroochy Waters Canals, Picnic Point, Cottontree Jetties and Bli Bli's Muller Park area. A falling to low tide is usually best though as the whiting forage on banks covered by shallow slow moving water. Best Bait: Fresh mullet fillets, whole WA pilchards, mackerel fillets, whole large bottle squid and poddy mullet are the best bait to use with tailor. They are very partial to metal slugs, spoons and twisties. Brightly coloured poppers also work well in deep water. Habitat: Along the Queensland SE coastline, often in bays and estuaries to chase schools of baitfish and to spawn. Local Haunts: In the Maroochy River, tailor enter and depart the estuary via the bar or river mouth. This is done usually on the incoming tide. Tailor are seen boiling up in schools following baitfish - target them at the river mouth, Cotton Tree, South Channel, Picnic Point, opposite Yinni Street and at the Cod Hole. Bag Limit: combined bag limit of 20 (except for amberjack, giant queenfish, highfin amberjack, samsonfish, swallowtail dart and yellowtail kingfish). live whiting, squid, pilchards herring and garfish. Habitat: Big Eye and Golden trevally are found along the length of the Queensland coast from Cape Moreton northwards, especially inshore rocky reefs, deep lagoons, seaward reefs, estuaries and along rocky structures. Local Haunts: In the Maroochy River it is best to look for a structure like jetty or bridge pylons, rock walls or a nice deep hole with a fast flowing current. The Cod Hole, River Mouth and deep channel in front of Twin Waters Weir are all perfect spots from both bank and in a boat. Lures and soft plastics are also rewarding to use in the Eudlo and Petrie Creek mouths on a full tide also. Bag Limit: 30 fish in any one session. Best Bait: mullet fillets, mullet gut, chook gut, prawns, yabbies, white pilchardand blood workms. Habitat: Found predominately from south-east Queensland to north Queensland, yellowfin are caught in estuaries, along surf beaches and off open healands.